You already know that TechRadar brings you the latest technology news, and carries more product reviews than any UK technology site. But there are plenty of other ways to chat with us and keep up with our posts. If you're interested in a particular subject, why not subscribe to one of our RSS feeds? Take your pick of our range of RSS feeds at www.techradar.com/rsstoolkit. Find out what events we're at and what new kit we're playing with via @techradar. 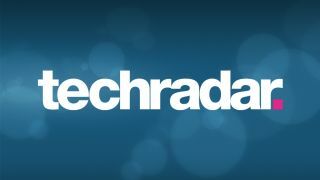 If you want to keep up with the latest reviews on TechRadar, then simply follow @TechRadarReview. For the latest on mobile phones, there's @TR_Phones, for cameras there's @TR_Cameras, for tablet goodness you'll want to hit up @TR_Tablets, and for PC modding and components, we have @TR_PCTech. TechRadar staff also have their own Twitter accounts. You can follow Editors Patrick Goss (@patrickgoss) and Paul Douglas (@pdouglas), Deputy Editors Dan Grabham (@dangrabham) and Marc Chacksfield (@mchax), Reviews Editor James Rivington (@rungsberry), Phones Editor Gareth Beavis (@superbeav), Staff Writer Kate Solomon (@katiesol) and Mobile Device Writer John McCann (@jjmccann). Join us on our Facebook page where you can chat to TechRadar staff and readers. We also have a dedicated TechRadar Cameras Facebook page. We're now on Google+ - why not add us to your circles? Check out the coolest new kit on the TechRadar Pinterest boards. Catch our latest videos on the TechRadar YouTube page. We've got gadgets for Windows and Google Desktop, so you can get instant access to our news and reviews. Download the Windows gadget here and the Google Desktop one here. Registered users can also comment on TechRadar news stories and receive our free weekly email newsletter - TechRadar's Week in Tech - which brings you a run-down of the hottest news and reviews of the week. Find out more and sign up.